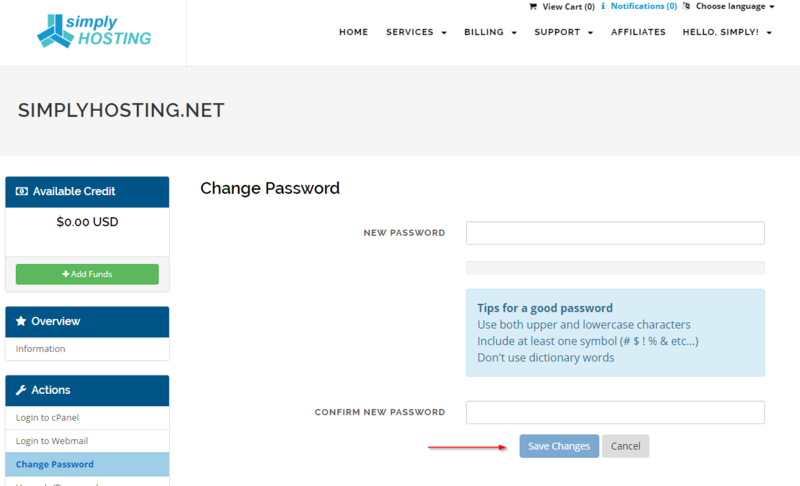 Did you know you can change your cPanel account password yourself through your client area? You can and it is a simple process once you log into your client area. The first step is to login to your client area through this link: Client Login If you do not remember your client area password please use the "Request a Password Reset" on that page. Once logged in go to "My Services" under the "Services" menu. Once there click on "View Details" for the cPanel account you want to manage. You are now viewing the details of your service. Click on the "Change Password" tab. This page will allow you to change your cPanel password. Once you have entered a strong password click on "Save Changes"
Congratulations! You have changed the cPanel password for your hosting account.